John Dudley, Duke of Northumberland is an enigmatic character in Tudor history. He makes his appearance during the last days of King Henry VIII and came to great prominence during the reign of King Edward VI. He was largely responsible for the execution of Protector Edward Seymour, Duke of Somerset and for the short reign of Lady Jane Grey. Christine Hartweg has a fascination for Robert Dudley, Earl of Leicester, the great favorite of Queen Elizabeth I. By extension, she has done meticulous research into Leicester’s father resulting in this biography. 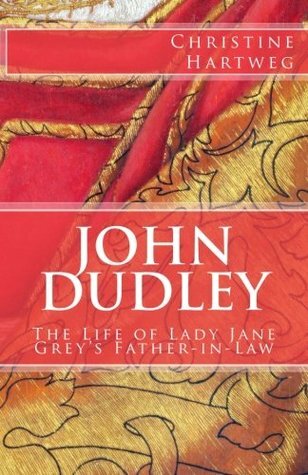 There is great detail here on the personal life of John Dudley including his early life and the execution of his father after the death of King Henry VII. It is interesting to note he had a devoted relationship with his wife, Jane Guildford. Her father had been Northumberland’s mentor and the couple had a large and loving family. Hartweg recounts Northumberland’s rise to power including his clashes with the Duke of Somerset and his close mentoring of King Edward VI. Northumberland was a great proponent of the Protestant religion. This led him to influence King Edward to modify his will and name his cousin Lady Jane Grey as his successor. Northumberland arranged a marriage between Jane Grey and his son Guildford. It is uncertain if he forged this match specifically so his son could be king and he could retain some of his power. This is an intriguing question. Another intriguing question is whether Northumberland genuinely repudiated his Protestant faith and became a true Catholic. Or was he just trying to save his own skin? The truth is we will never really know. It is clear that Queen Mary I didn’t believe him and Northumberland was unable to avoid execution. There are no definitive answers to these questions but Hartweg does a great job with the historical evidence and gives us all the possibilities. This book is highly recommended for those interested in the career of John Dudley. 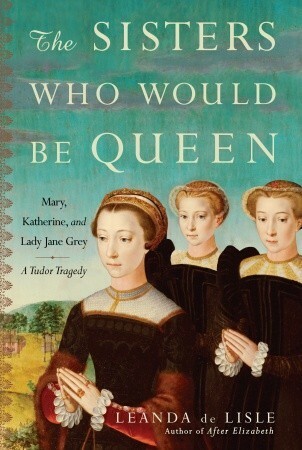 Several years ago I read a fascinating biography of Lady Jane Grey, known as the Nine Days Queen. It was written by Eric Ives and the subtitle of the book was “A Tudor Mystery”. 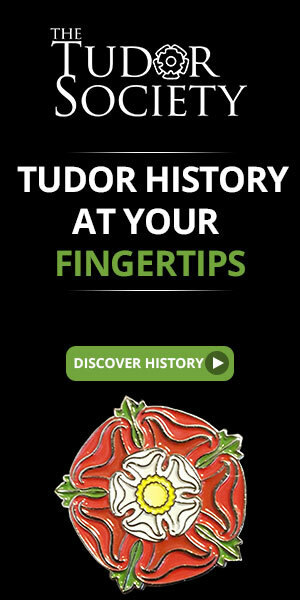 So little is known about Jane who was a key personality in the Tudor era. I knew even less about Jane’s sisters Katherine and Mary. So when I found this book I was intrigued. Since Ives has written a complete work on Jane, this book doesn’t really give much additional information about her. However, the information on Katherine and Mary here gives a complete picture of their lives. All these women were technically in line to inherit the throne of England based on the will of King Henry VIII and then the revisions made by King Edward VI. Edward really put these women in the spotlight, essentially putting their lives in danger, especially Jane. Jane was used as pawn by John Dudley, Duke of Northumberland. Just before King Edward died, Northumberland married Jane to his own son Guildford. When Edward finally died, Northumberland had Jane and his son proclaimed Queen and King. This state of affairs only lasted about ten days, until Edward’s sister Princess Mary proclaimed herself Queen and forced Jane and Guildford to become prisoners in the Tower. Jane was beheaded a few months later. Katherine’s story is for me the most fascinating. She managed to marry a Seymour in secret without the Queen’s permission. Even more interesting, she managed to have a son. After this, Queen Elizabeth I had Katherine held prisoner in the Tower along with her husband. They were allowed to see each other while incarcerated and Katherine managed to have another son! This led to the couple being separated and Katherine died an unfortunate death a few years later. De Lisle discloses in this book that there is a first-hand account of Katherine’s death and as it’s written here, it’s very emotional reading. The last sister Mary managed to live the most conventional life of the three women but that’s putting it mildly. She was born deformed and was a very small person. But this probably saved her life because she wasn’t seen as a serious threat to the throne because of it. She married without the Queen’s permission like her sister and was also separated from her husband. He eventually died and Mary was able to carve out a living for herself as a comfortable widow. All this makes for a fascinating story and de Lisle does a good job here recounting the lives of the three women. I have to admit her grammar and syntax drove me a little batty and sometimes she had me wondering if I was reading historical fiction or not. But it’s a pleasant book and I would recommend it if you are interested in the subject. This biography is another volume in the Yale English Monarch series. Author Jennifer Loach, before her untimely death at forty-nine in 1995, was a Fellow and Tutor in Modern History at Somerville College, Oxford. Ms. Loach started out as an historian of parliament with a specialty in the Marian parliaments but she soon widened her field of study to cover European history in general and the reigns of Mary I and Edward VI in particular, bridging the gap between Henry VIII and Queen Elizabeth I. 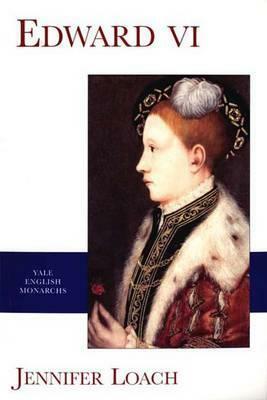 Most of the work on the reign of King Edward VI had been published in the early to mid-twentieth century. In 1988, Loach was commissioned to write this book for Yale University Press and spent the last years of her life solely concentrating on its writing and publication. It is unfortunate Ms. Loach died before the completion of the book. Her husband brought her notes and computer disks to Penry Williams and George Bernard, a student of Loach’s. The Preface of the book describes how these two editors managed to complete the project, a process in and of itself that is very interesting. Ms. Loach had discussed with them how she would construct the narrative of the book so they had a clear idea of her methods. For the reader, it is apparent the book was unfinished in some places although this doesn’t detract from the basic historical information provided. Because Edward’s reign was short, he was young and had little say in the running of day-to-day government, it is necessary to concentrate on the regencies of his regime. This encompasses the retelling of the leadership of Edward’s maternal uncle, Edward Seymour, Duke of Somerset and John Dudley, Earl of Warwick, later Duke of Northumberland. In this volume, there is not a lot of detail about these men’s command but it is enough to give the reader an idea of the overall impact on the reign. Dr. Loach also gives a general overview of the social and economic difficulties of the reign as well as the religious policy. The most interesting part of this biography is about the king himself. She tells us how Edward received one of the most complete humanist educations of his era. There is some fascinating information on Edward’s court and how he enjoyed magnificence, panoply and intricate ceremony and ritual, very much following in the footsteps of his father. Edward loved to dress in sumptuous clothes and personally participate in court entertainments as a performer and in inventing them. In many ways he was a typical sixteenth century teenager albeit fortunate enough to have a superb education and access to the royal treasury. Loach includes an entire chapter on Edward’s last illness, containing her personal thoughts on a possible medical diagnosis for what ultimately proved to be fatal. The information on Edward’s “device” for changing the succession to Lady Jane Grey is most interesting. There is a brief description of Edward’s funeral and a chapter for what followed his death with the proclamation of Lady Jane Grey as Queen and how Mary fought to claim her throne and who fought with her. There are some wonderful illustrations in the book and an appendix describing a selected list of portraits of King Edward. This is a wonderful, no-nonsense history of the life and reign of the young King Edward.